If you don’t measure it, you can’t improve it. That old business adage may not apply in all cases, but it does capture the essense of a growing movement toward data-driven decision-­making in trucking. Many fleet managers are closely monitoring their operations through metrics such as deadhead, equipment utilization, driver turnover, cost per mile and on-time delivery percentage. 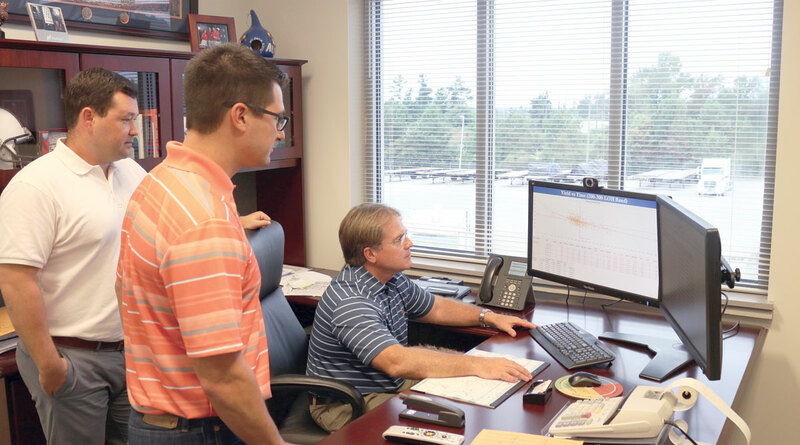 For Dwight Basset, senior vice president of finance at Boyd Bros. Transportation Inc., data is the key to boosting the company’s efficiency, safety and performance. Basset views data collected from multiple sources and relies on software to help transform those streams of numbers and reports into actionable information that can drive improvement. “The impressive part is, we can get the data so quickly now where it used to be a laborious task,” Basset said. Fleet managers, including Basset, have seen an increase in the amount of information flowing in from mobile communication units, truck engines, equipment sensors and accounting systems. All of that is fueling key performance indicators, or KPIs, that are becoming increasingly sophisticated. Boyd Bros., which is based in Clayton, Ala., utilizes products from McLeod Software to manage its business. Basset reviews different reports on a daily, weekly and monthly basis. “We look at loaded revenue per mile, net revenue, empty and loaded miles, miles per week per truck, revenue per day, revenue per hour, delay time at certain customers and transit times,” he said, adding that KPIs on loaded revenue per mile, deadhead and yield make the biggest difference to the bottom line. Each morning, Basset reviews reports on the previous day’s revenue, week-to-date revenue, week-to-date versus budget, running trucks, unmanned trucks, net revenue per mile for the previous date, terminations, deadheads, layovers and loads that generated a lower revenue amount. He examines revenue performance of dedicated special fleet operations and a regional network analysis weekly and looks at ex­penses monthly, reviewing every cost center and expenses compared with budget. McLeod uses information from its system as well as outside sources to create reports, said Barry Brookins, director of service delivery for the software firm’s enterprise consulting services division. “We’re getting those different bits of data to put it together to make a full picture,” he said, adding that McLeod offers set reports and also enables fleets to customize their KPIs, such as specifying how to calculate revenue per mile rather than using McLeod’s formula. For Justin Neal, director of business integration at Heniff Transportation Systems, top KPIs include financial performance, operational utilization, driver turnover and days worked. Neal relies on technology from PeopleNet and TMW Systems to collect and analyze data. TMW offers 200 out-of-the-box dashboards that group financial information and data on productivity and maintenance. Users also can create scorecards to look at customer revenue trends, margin trends and volume trends. The sources of data that create KPIs are continuing to grow, said Rick Ochsendorf, chief customer officer for Trimble Transportation Mobility, which includes PeopleNet. “We all want the tool that helps us focus on the problem spot,” he said, adding that standard KPIs include out-of-route miles, miles per gallon, idle time and safety measurements. Any insight companies can get today is a huge win because it gives them the opportunity to identify potential gaps and improve in areas in which they are at risk, said Cindy Nelson, vice president of transportation software at EBE Technologies. EBE’s software encompasses billing and settlement information, and can examine delivery-to-bill time and payment accuracy, company President Larry Kerr said. The most important KPIs can change over time as a company’s business or leadership philosophy changes, said Tom Benusa, chief information officer at truckload carrier Transport America. “There is new information coming off of the truck and trailer all of the time that give you the opportunity to measure and manage something you didn’t do previously,” he said. Transport America, which is based in Eagan, Minn., focuses on on-time deliveries from a customer perspective. “We monitor load acceptance — how many we’re accepting and turning down — and we’ve started taking a close look at revenue per truck per week. That is a philosophy change to our group,” Benusa said. Kevin Haugh, chief strategy and product officer for technology vendor Omnitracs, said information can help fleets drill down into specifics. “If I have a location that has a cost per mile higher than it should be, why is that? Is it because drivers are driving out of route? Are they spending too much time stopped at servicing locations? I can drill down into what is really causing the problem and try to intervene,” he said. Vnomics’ True Fuel application can run reports on a variety of fuel-based metrics, such as driver fuel efficiency, truck miles per gallon and potential miles per gallon. One of the challenges for fleets collecting a wealth of data is determining what information is actionable, said Ben Wiesen, vice president of products and support at Carrier Logistics Inc.
“Fleets get more value out of the data when it is combined and packaged together, so they aren’t spending hours mining data from disparate systems,” he said. Wiesen said different types of freight can require different types of metrics. Some less-than-truckload carriers, for example, have created KPIs to monitor charges and payments to ensure they are paid for the services they provide. Pete Allen, vice president of sales for MiX Telematics, said fleets often look at efficiency, compliance and safety metrics, such as driver behavior characteristics. “The KPIs are pretty well-known; we’re making it easier for them to gain access to them,” Allen said. MiX’s Insight Agility tool allows fleets to create any report or dashboard they want within Microsoft Excel. Users can refresh templates anytime they want with their key metrics or subscribe to reports that can be delivered at preset times. Most fleets focus on metrics related to safety, efficiency, fuel efficiency, idling and customer service, but a growing number of companies are combining KPIs as they become more sophisticated, Omnitracs’ Haugh said. “An interesting one is total cost per mile, so not just the vehicle cost, but the cost of the driver, which is more descriptive,” Haugh said. McLeod’s Brookins said fleets want to make sure they’re maximizing drivers’ time and revenue. Alan McCraney, market analyst for Boyd Bros., agreed that time has become even more valuable to the carrier. “The old-school method was focusing on rate per mile. Now it is focused on time. It doesn’t matter if you make $1,000 on a load if it takes three days,” he said. Monitoring data can reveal oversights in billing and collecting revenue, said Jack Jones, vice president of truckload products for Transportation Costing Group, a SMC3 company. TCG looks at the time and cost associated with each dispatch, including miles, billing and collection. Knowing a trailer’s location and status can support detention billing as well as information on equipment availability, said Henry Popplewell, president of trailer-tracking provider SkyBitz. Many customers track the number of days equipment sits idle because it is so impactful, he said. Some measure KPIs such as when a trailer arrived and when it was unloaded or loaded. “By comparing those KPIs across customer locations, you start being able to partner with a customer in terms of pricing, efficiency, expediency, freight in and freight out,” Popplewell said. Transport America uses SkyBitz to monitor its trailer fleet. “As we’ve gotten better at using and taking action on the data, it improves the turn rate and trailer utilization,” Benusa said. Dean Croke, vice president of product management for Spireon, another trailer tracking firm, said trailer mileage data can help fleets conduct maintenance at the ideal intervals and help them monitor the number of turns or loads per week. Trailer information also could help “right-size” trailer pools for a dedicated fleet. “The leasing company can go to their customer and say, ‘We’re leasing you 127 trailers for this distribution center, but we think you’re not using all 127. We may change your contract to 120, so we’re getting our trailers back and reducing your cost,” said Roni Taylor, vice president of industry relations for Spireon. Ultimately, having solid data can help fleets reduce the guesswork of managing their operations. “A lot of times, people make decisions based on how they feel about the business. Having some sort of a consistent, absolute means of measuring and a uniform approach to evaluating the business becomes very important,” TCG’s Jones said.